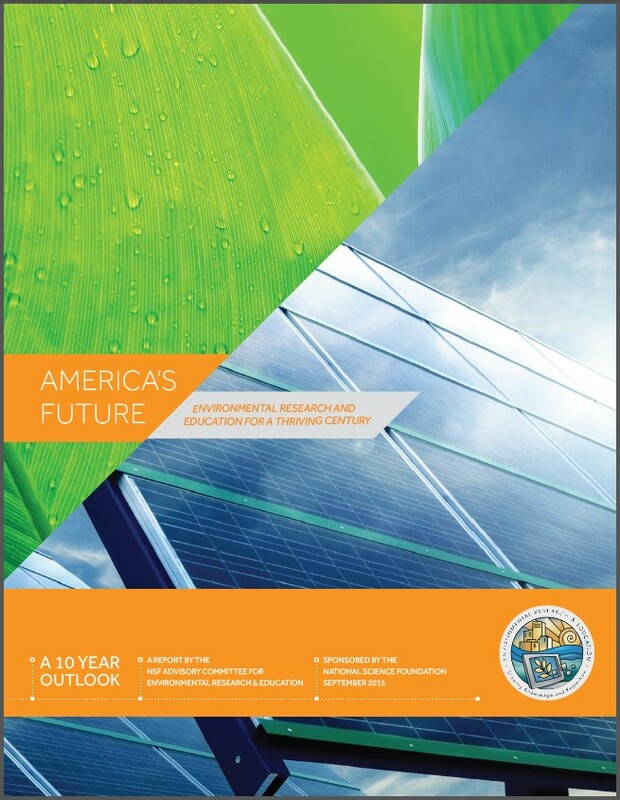 The Advisory Committee for Environmental Research and Education (AC ERE) recently published a new report entitled, America’s Future: Environmental Research and Education for a Thriving Century. The AC ERE is a multi-disciplinary group of scientists who advise NSF senior management on strategic planning for NSF’s agency-wide environmental research and education portfolio. The group was established in 2000 by then Director Dr. Rita Colwell, in recognition that environmental science and engineering is intrinsically multi-disciplinary and must involve all parts of NSF. For further information about the AC ERE purpose, members, and meetings as well as this report and past reports, visit the AC ERE home page on NSF.gov: http://www.nsf.gov/geo/ere/ereweb/advisory.cfm. This entry was posted in DEB in the News, Discussion Forum. Bookmark the permalink.